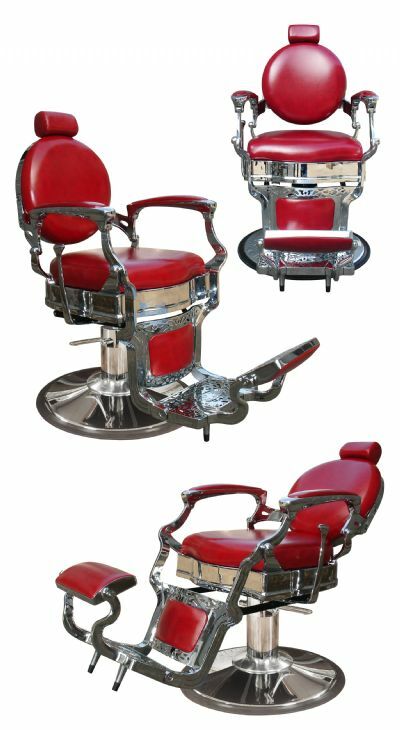 PRINCETON BARBER CHAIR, Imported. 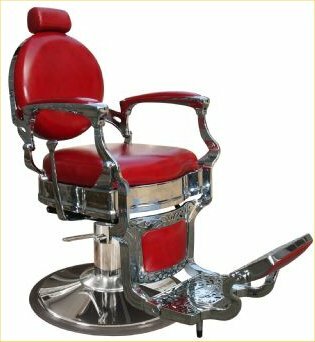 Each Princeton features a highly detailed all-metal frame, arms, footrest, and base with a bright polished finish, gas cylinder controlled reclining back, adjustable-removable headrest, kick-out footrest, and roll-over calf pad for shaves. The Princeton arms and kick-out footrest work in-sync with the reclining back; recline lever on right as shown. Five year warranty on the hydraulic base and gas cylinder. Available for immediate shipment in RED and Black but can also be specially upholstered at Collins in the upholstery color of your choice.